As a coach, I have become more and more intrigued by the thoughts I don’t hear. Obviously, there is communication between my students and me, necessary for them to understand the concepts and learn how to apply them. However, I have become increasingly concerned about the thoughts inside the player’s head that I don’t get to hear, wondering what their focus might actually be at any point in time. I’ve recently drawn this analogy: Music in the gym is a lot like the thoughts in our heads — for a couple of reasons. Have you ever thought about all the noise we’d hear if everyone didn’t wear headphones? There is a lot of sound that we don’t hear. In the same respect, what about all the thoughts going on in the heads of people around us? What about every bowler? Specifically, what are the thoughts in your head, especially when you practice or compete? During a lesson, I might think that the bowler is focused on the same thing that I am asking them to do, be it regarding execution or strategy. That would be me assuming that they are focusing like I am on a specific task at hand. But every now and again (and though I am doing this more frequently, it dawns on me as I write this that I probably do not do it enough), I ask, “What are you focused on right now?” I am often surprised at the response. People’s minds are busy. And with technology all around us, at our fingertips, we are bombarded with more to think about and manage. USA Today learned a long time ago to provide short segments, rather that long columns, to appeal to the shorter attention spans and speed of thought of the human mind. In lessons, this challenge is coupled with the aspect of trying to do something new that feels different. I think it is easy for the mind to wander in different directions, without us even realizing it. Or, maybe we do realize our mind becomes distracted. When I stop to ask the question about a bowler’s focus — usually when they are struggling to do what I am asking — too many times their mind has wandered elsewhere. The other reason that our thoughts remind me of the music we don’t hear in the gym is because I am constantly reminded of the important role focus plays in being able to stay balanced while doing compound exercises. Once trained, you might be strong enough to balance on one foot while doing overhead presses, or hold a tree position with your arms up in yoga; however, focus is integral to maintaining that balance. For me, I see that when I do lose my balance, it is often because my thoughts have wandered, compromising my focus. That brings me back to bowling. I wonder how many times I was not in focus when I competed — whether it was during a pro tour swing, a tournament, a block of games, a key shot or just attempting to pick up a spare. Chances are great that focus was lacking way too many times. After all, it is hard work to get, and remain, focused. I believe this is a lot of what we are referring to when we allude to the mental game. There are many aspects to a strong mental game — including emotional stability, confidence, strategy and shot making, to name a few — but in all of this there is the element of focus. Are we focused on the next shot, or ticked off about the last one? Are we prepared to pick up the next spare, or fraught with concern over missing it? Are you thinking about how to make a logical adjustment on the lane, or angry that the line you are playing does not seem to work? When you go through your pre-shot routine, do you pair it with a strong mental thought process to go along with your physical ritual? Liz Johnson's ability to harness her emotions and relentlessly execute a strong mental process before each shot, regardless of the situation, has been one critical factor in her success. I always say that a strong mental game takes just as much work as the physical game; it’s just that you cannot see it. Or even hear it. I say this because I remember watching those players on tour who had the discipline to harness their emotions and relentlessly execute a strong mental process before each shot, regardless of the situation. Think about when you miss a spare. How many times do you realize just after missing it that you weren’t even “there” to shoot it? That was usually the case for me. What if you took an extra second to focus before rushing through the spare shot? Too often, that extra second seems like too much work, or maybe we just don’t even think about it. I guess that is my point. What are we thinking about, and is it productive to the task at hand? Could we pay a little more attention to what we are thinking and how our thought processes might be hindering, or could be helping, our performance? How much noise is there, and how distracted do we become to lose sight of the task at hand? It’s a simple concept, but profoundly influential on our game. In lessons, I try to keep things simple, and not cover too much at one time. I’ve said it so many times: “You can have 10 correct thoughts, but that does not mean you’ll produce a good motion.” Too many thoughts create a set of mechanics, while minimal, productive thoughts can help you create a smooth motion. Likewise, unnecessary thoughts serve as a distraction to what you really need to be focused on. So, it’s on me to guide each student’s focus. Then it’s on them to harness their thoughts. Yet I personally feel challenged to help them do so. This is very important. It is said that your central nervous system hears the verb; therefore, when you say, “Don’t pull,” it hears, “Pull.” However, you do want to relax and wait. 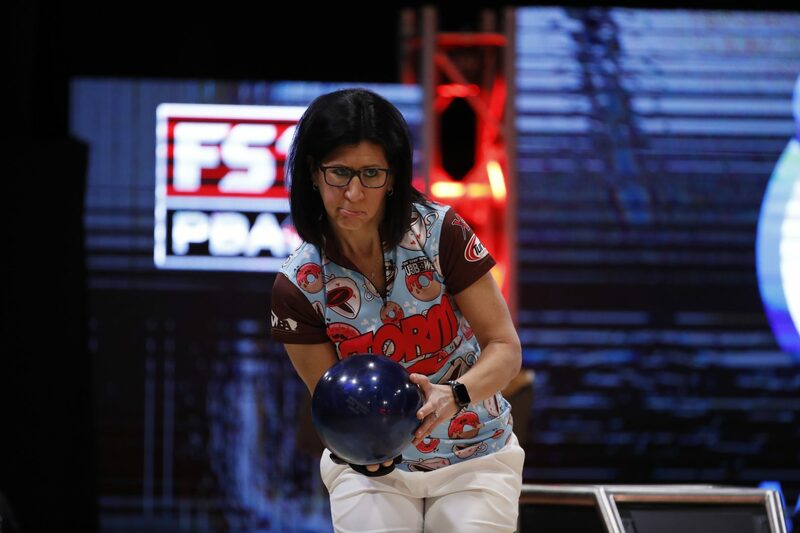 Take a little more time to pay attention to your thoughts and what you are focusing on as you bowl. Are your thoughts productive or destructive? Are you focused on the right things at the right time, or distracted by unnecessary or untimely thoughts? The good thing, as with the pros I mentioned previously, is that you can develop stronger mental practices, just like any other skill you work on. It takes time, effort, discipline and… yes… focus.